upbringing, Mandela was lucky enough to be born under a tribal chief in the land of Umtata (which was the precursor of Transkei). He would later move to Qunu after his father died of lung cancer. Since Mandela's power was linked to his father's status, he and his family transferred to the neighboring chief of Thembu. Before his adoption into a new tribe, Mandela was a normal youth who would practice his tribe's custom and culture. He also had the opportunity to attend school–being the first in his family–and it is here where he received his name of "Nelson" from one of his teachers. Although the details are a bit sketchy, it is likely to assume that the British wanted to "Europeanize" his South African name. Although well respected in the Thembu tribe, Mandela decided to drop his obligations to inherit a high role in the Thembu tribe and instead pursue an education route. He applied at the University of Fort Hare in 1939 where he planned on studying law; however, he and several students were expelled after leading a strike demanding certain obligations be granted to the Student Representative Council (SRC). Although these demands were denied, this small role would foreshadow Mandela's desire to change certain situations in South Africa. After Fort Hare, Mandela finished his course work through correspondence courses and earned his bachelor's degree from the University of South Africa in 1941. He would then attend the University of Witwatersrands in 1942 to pursue a law degree. It is here where he would meet his future wife as well as join the group that would define his political career–as well as propelling him into a law sentence that would last for a large part of his life. In 1944, Mandela decided to join the African National Conference (ANC). This group focused on helping black South Africans achieve more rights and freedoms than what they were limited to due to apartheid policies. These policies often discriminated against South African blacks with limitations in voting or education, as well as job opportunities. With these restrictions, many groups–such as the ANC–thought the majority of the population–which were blacks–should not be restricted by certain policies mandated by a white minority. After joining the ANC, Mandela helped establish the Congress Youth League. This establishment sought to go against South African apartheid policies by forming peaceful rallies and labor strikes. Although these ideas were revolutionary at the time (and may have influenced future Civil Rights demonstrations in the United States) they would be heavily resisted by the South African government. Retaliation against the ANC Youth League was rampant. During their segregation protests, Mandela and activists were often treated harshly by the government with police brutality. During one labor walkout in 1950, 18 people were killed. Tactics later evolved into beatings and incarceration of ANC activists. For example, during the Defiance Campaign in 1952, Mandela and other advocates were beaten and imprisoned because they "went against" the South African government. obeying the government, Mandela decided to move underground where he would support the ANC out of the public's eye. 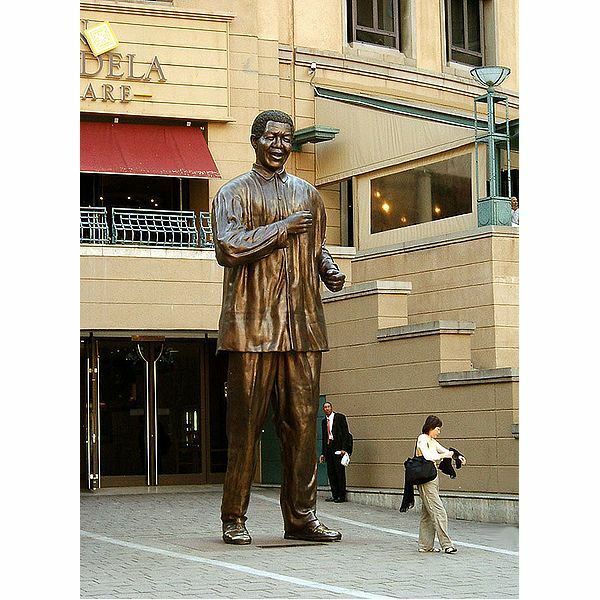 Although Mandela would not be seen in the public for a while, it would not last for long. In 1955, Mandela would emerge after the South African government had begun tightening apartheid laws. For example, black populations had begun being segregated even more and were forced to relocate to places known as "townships" or "homelands." Taking action, Mandela reemerged in 1955 to lead campaigns such as the Congress of the People and in 1956 he and 155 other advocates were charged with treason by the South African government. The government decided to charge the ANC activists with treason because they reasoned that these advocates were Communists who wished to overthrow the government. These accusations were false; however, they were effective in trying to stop the anti-apartheid movement that Mandela and other ANC leaders were trying to overthrow. Although the "Treason Trial" would last from 1956-1961, the charges for Mandela and other advocates were later dropped. By this time things had changed. In 1960, a demonstration in Sharpeville resulted in a massacre of 69 protestors by the police and Mandela decided that things needed to change. Thinking that peaceful negotiations were leading to dead ends, Mandela decided that another policy should be enacted in order to change the government. Mandela decided to create the Umkonto we Sizwe (Spear of the Nation) organization which would focus on sabotaging government institutions and areas that were "supporting" the apartheid decrees. By 1962, the group (also known as MK) had claimed 70 acts of sabotage and, in late 1962, Mandela was arrested due to organizing "illegal" demonstrations. Mandela was imprisoned for five years due to his association with the illegal demonstrations and would later serve more after the government tied his association with the MK guerilla group. In 1964, Mandela was charged with life in prison and he would serve 27 years in prison. Although he would be transferred multiple times, Mandela became a symbol of hope for South Africans who wished to achieve freedoms that the apartheid laws denied them. Mandela would first serve his life sentence in a prison off the coast of Cape Town known as Robben Island. He would serve as a laborer and was forbidden from communicating with anyone outside of the prison. He was later transferred to Pollsmoor Prison in 1982 due to concerns that he was "influencing" the inmates of Robben Island. Although he had served 18 years in prison, he was viewed as a martyr for his role of imprisonment by South Africans. 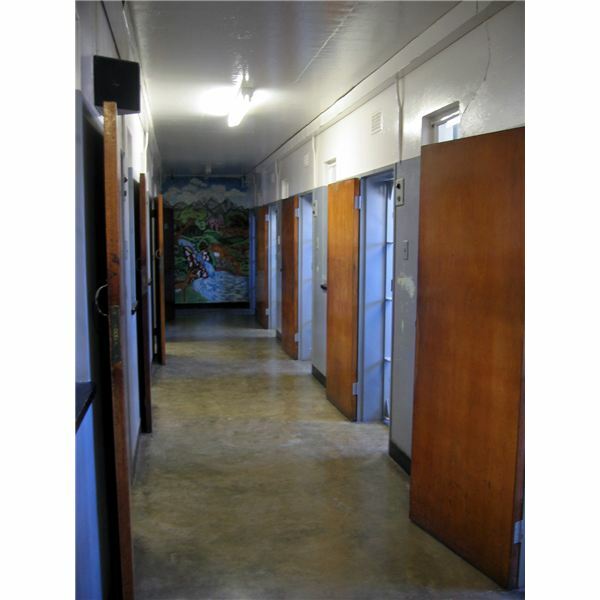 Within Pollsmoor Prison, Mandela was transferred to solitary confinement for 6 years. Although he was alone for most of the time, he was offered several opportunities for freedom if he renounced his involvement in the ANC as well as his intentions for blacks to receive rights. In 1984 and 1985 Mandela turned down these opportunities because he thought black South Africans needed "full political rights." Even with this heroic stance, Mandela would face health problems in 1988. This setback would be worth it as South Africa continued to oppose apartheid laws. International nations also imposed economic sanctions against South Africa due to their policies of not granting rights to certain groups. Finally in 1990, Mandela was released from prison after international demands as well as declining power in the government. 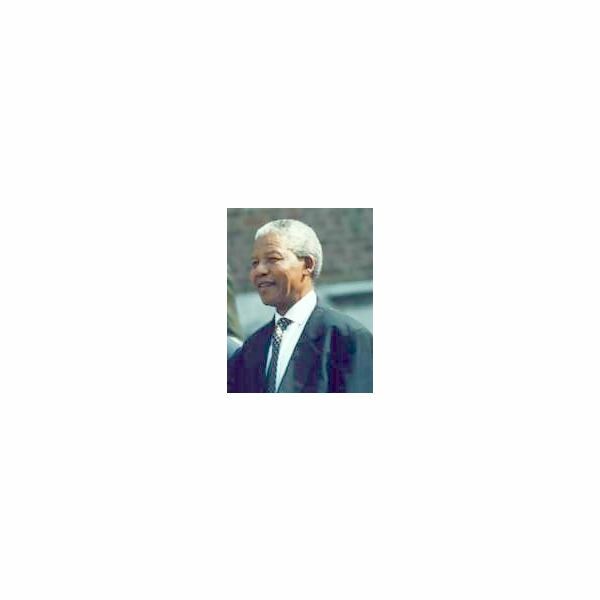 Mandela represented a key symbol of hope when he was released due to his involvement in demanding black rights as well as the end of apartheid laws. After his release, the government freed the ban of the ANC at the request that Mandela would discontinue acts of violence. Following this request, Mandela ended the ANC's violent policies and reverted back to peaceful negotiations. With his popularity soaring, Mandela continued his role as an ANC leader; however he had difficulties due to several factions that had arisen during his imprisonment. For example, groups such as the Inkatha Freedom Party, the Defense Force and the Afrikaner Resistance Movement waged conflicts against the ANC between 1990 and 1991. During this time 6,000 people were killed due to the changing political atmosphere. In 1991, Mandela was elected as the president of the ANC and helped pave the way for the Convention for a Democratic South Africa (CODESA). This convention hoped to combine the factions into one constitutional assembly. This was formally recognized with the signing of the "Record of Understanding." Even with all of these talks, violence still escalated throughout South Africa. It would take several more years until a free and fair election could take place. In 1994, a free election took place in which all peoples of South Africa could vote for a president. Not surprisingly, Nelson Mandela was elected as the first president under the Republic of South Africa. He decided to pick a cabinet that came from several of the factions in order to ease diversity as well as help solve the nation's problems. Although this stage would take awhile, Mandela would come to help ease tensions during his single term. Several reforms needed to take place in order to reestablish order and stability in the Republic of South Africa. Most of the reforms were aimed at blacks who were discriminated against during the apartheid policies. For example, reforms such as the Reconstruction and Development Plan helped increase funding to the needs of the public which included things such as housing, education, workplace policies, and the end of apartheid policies. Other policies were signed into place such as the South African constitution as well as the establishment of health care policies. For his actions, Mandela would come to receive the Nobel Peace Prize in 1993 and he would also receive the Order of Merit in 1995. He also tried to ease relations between blacks and whites by hosting the Rugby World Cup in 1995. Mandela helped the majority of the black population to come support the rugby team–even though the majority of the rugby team was white. In 1999, Mandela's presidency term ended and he announced that he would retire from politics. Even with his retirement, he has still had a hand in worldwide issues. 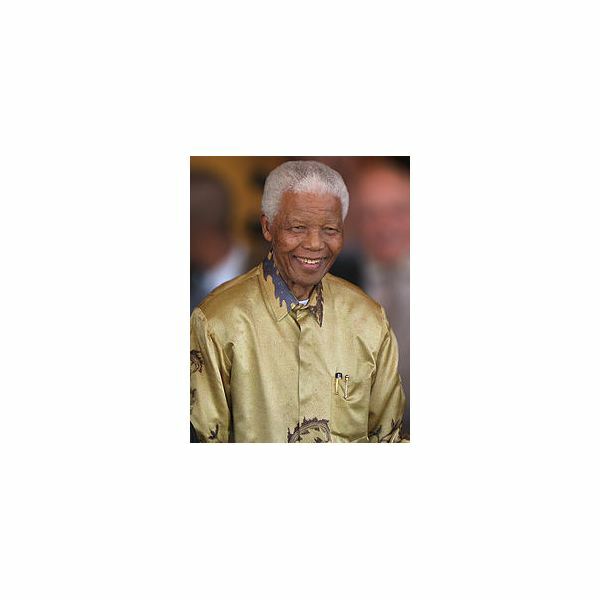 For example, in 2007, Mandela helped establish "The Elders" which is a group of world leaders that try to find solutions for issues around the world. Mandela also has spent time in a nonprofit organization called 46664 which helps fight the HIV/AIDS epidemic that rages around the world. The organization is named after Mandela's prison number that he wore for over 27 years. He died of a respiratory illness on December 10, 2013. There was a 10-day national mourning in South Africa. Even after his death, Nelson Mandela continues to be a symbol of hope in the world. He was a leader who stood for human rights and took part in establishing freedoms for people all around the world. It is amazing to consider that he had served 27 years in prison and that he would come to be the president of South Africa after his release.